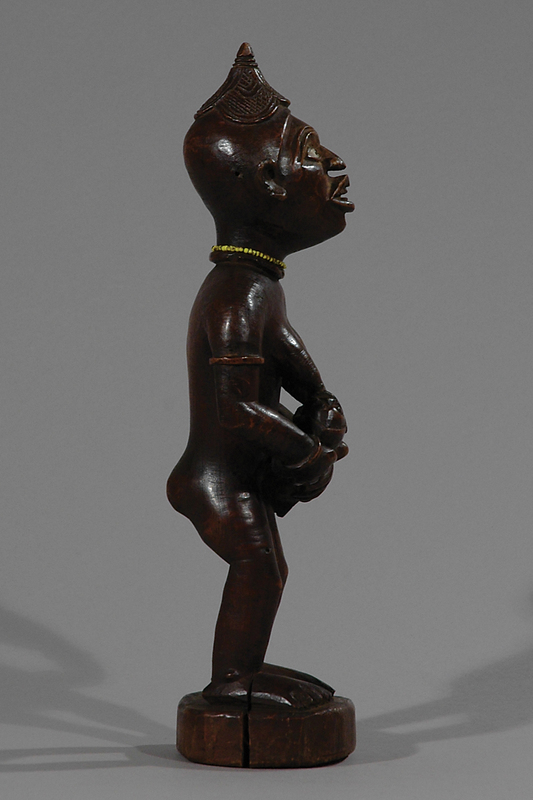 Maternity figures are among the most renown in African art because of their easily recognizable theme, their classical form and their fine workmanship. 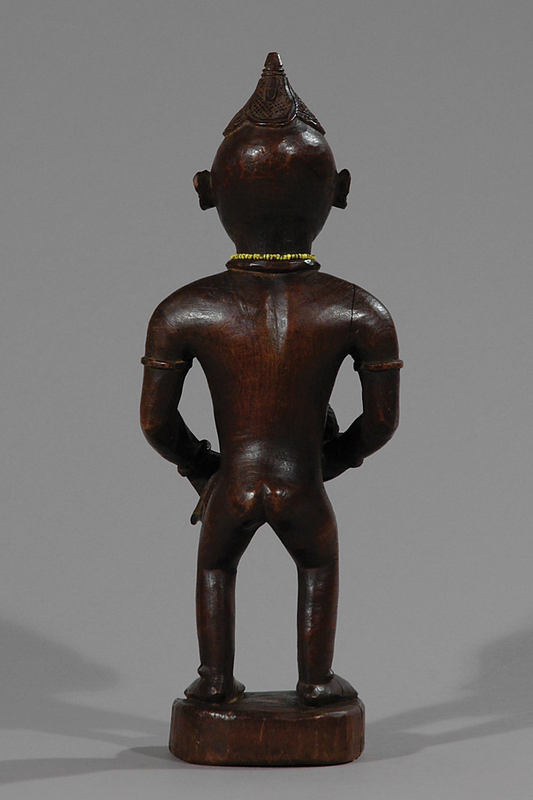 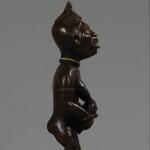 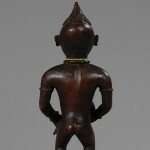 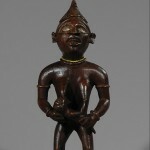 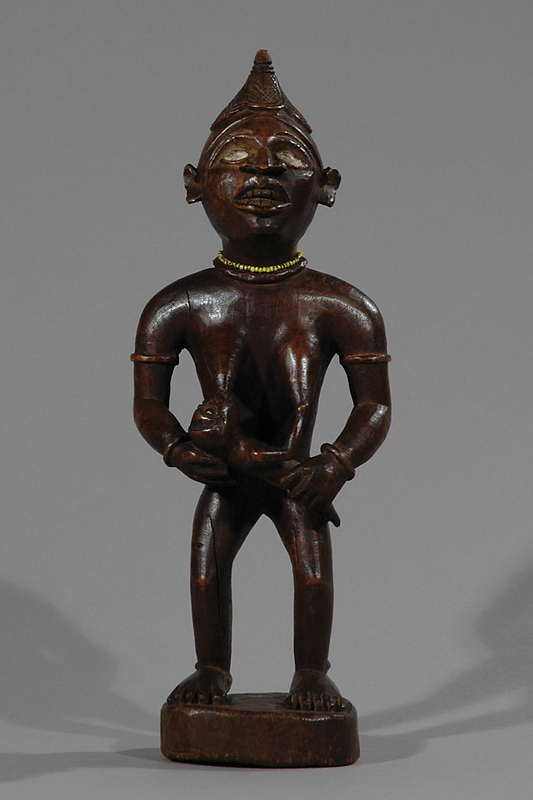 This unique and well-preserved standing maternity figurine (pfemba) has been used in rituals addressing women’s infertility. 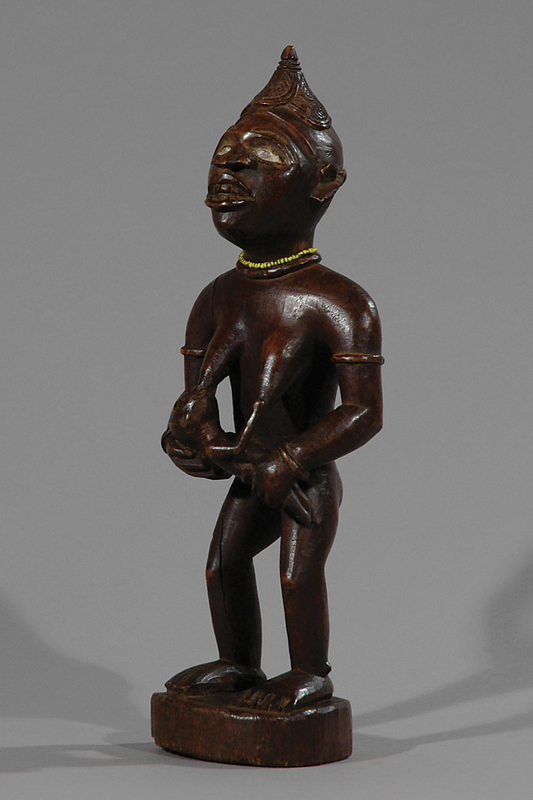 Note the straight, well-proportioned woman’s body, holding her infant in the crook of her left arm, the infant’s hand grasping her breast, her right hand holding the infant’s left leg against her stomach. 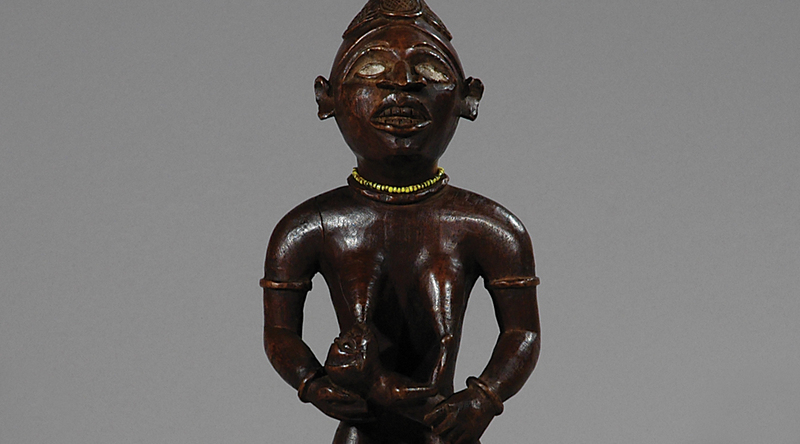 The mother wears a conical cap, her eyes are inlaid with semi-circular porcelain fragments, her open mouth reveals teeth, she has well-detailed ears with single perforations for ornaments (now missing), conical breasts, simpel indicated fingers and toes and the feet resting on a round base. 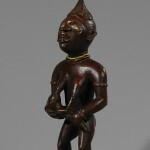 Provenance: It was collected in the early 1940s by Belgian military in Congo and a part of a Dutch collection, from where it was sold to a Belgian private collector, from whom it was acquired by CHRISTA’S.